Locksmith 85053 | Local 24 Hour Service | Metro Lock & Safe Inc.
For a locksmith, 85053 residents aren’t limited to a single option. That can make it difficult to find a locksmith you can depend on. Local experience matters and you need to know your locksmith has all the traits you’re looking for. Timely arrival, friendly demeanor, and breadth of service are incredibly important. A wealth of experience lets you know they can handle any job. For a full-service locksmith, 85053 relies on the service of Metro Lock & Safe Inc.
We’ve been helping customers in 20 minutes or less for over 30 years. Situations requiring a locksmith can frequently cause stress, especially in an emergency or business setting. Our technicians are understanding and compassionate. They’ve been where you are, and whether it’s the dead of night or a sunny afternoon, we come prepared. With the necessary equipment to perform most major services, we get to work fast. This lets us provide reliable, accurate service in the 85053 area code, right when you need it. Commercial Services – A problem with locks, a security system, or a safe can bring business to a screeching halt. 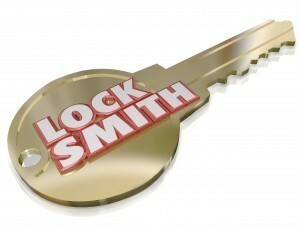 Without fast service from a locksmith, 85053 businesses may be headed towards revenue loss, angered customers, or more. Many businesses depend on security measures to function properly. When these measures fail, it can lead to a lapse in security and exposed assets.When you need a commercial locksmith, 85053 services from our technicians are discreet, reliable, and timely.Whether you’ve just opened or are closing for the night, we arrive in 20 minutes or less. Many businesses that rely on our service feature advanced security systems. These protect clients as well as their assets. Discretion is crucial when a security system, lock, or safe are compromised. Our technicians understand this. We always exercise care and caution in order to provide fast and accurate service that allows your business to operate without interruption. Home Services – Homes often contain a wide variety of locking mechanisms, safe types, and security devices. Whether you need service now or have scheduled out, expect excellence from our technicians. For a locksmith, 85053 citizens trust us because we offer more. Our locksmiths are also security experts. We provide security consultations and system installations. Safe Services – For a locksmith, 85053 requires a full service company that can handle any line, model, brand, or type. We work with all available safes and perform services like replacement, repair, cracking, combo changes, installation, and more. Safes are a great way to protect your valuables. If you haven’t considered one, our technicians are happy to help identify your needs. We have a wide variety of options and can identify the perfect safe for your valuables and budget. No matter what your locksmithing needs, for services from a trusted licensed locksmith in 85053 call (602) 663-9828 or Contact Us today.